​I am by nature a dealer in words, and words are the most powerful drug known to humanity. Editing is an umbrella term for levels of the work that begin with a wide-angle view of a piece of writing and then progressively narrow that focus to the final close-up. I can help at any level. Editorial Review. This is a close reading of something you've completed, followed by recommendations for next steps. My assessment highlights the work's strengths, what needs more attention, and any other issues that would help you to publish. Developmental Editing. This is big-picture editing that can happen before writing begins, while writing is in process, and even after the first draft is complete. Developmental editing organizes, structures, and shapes content to effectively convey your message, and it's guided by big-picture questions: What do you want to say? Why? Who is your audience? What do you want them to take away from your work? Structure is not a straitjacket for your words. It is an architect that moves readers through and allows them to pause, not randomly, but with direction. Substantive Editing. 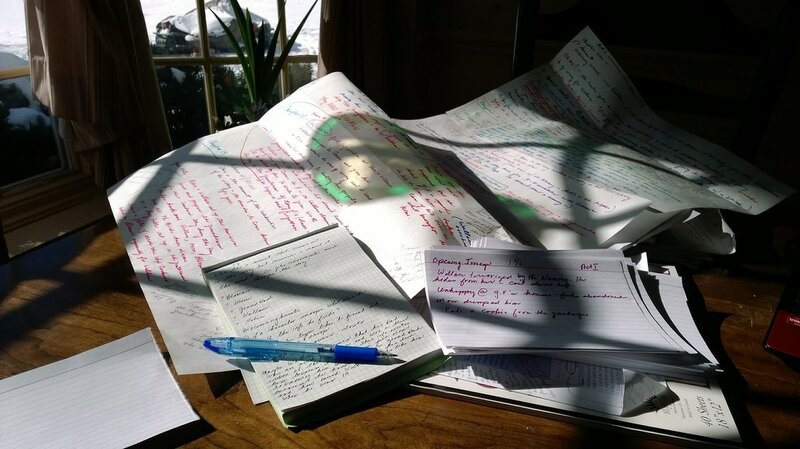 Substantive editing also examines a work's structure and may involve reorganization, deletions, or additions. But the structural work in a substantive edit is not as extensive as it is in a developmental edit, and it happens after the writing has been completed. Also at this stage, the work of fine-tuning sentences begins, as they are revised and sometimes rewritten for clarity, pace, tone, and style. Copyediting. Copyediting fine-tunes the details. Not only are errors in grammar, syntax, and punctuation corrected but also the design of a sentence is evaluated. Word choice, word treatment, and word placement are considered, and consistency of style and tone are established. Fact-checking is another important part of copyediting. Proofreading. In this final stage of the editing process (the close-up), egregious errors in punctuation and grammar that were missed earlier or inadvertently introduced during design are corrected. Formatting and layout are also checked for accuracy and consistency. I am a versatile writer, with a broad content focus and a portfolio that includes feature articles, reviews, brochures, website copy, and even prose poetry. Book proposals are to books what business plans are to businesses: essential. A book is always more than just a book. It could change a person’s life for the better, catalyze breakthrough ideas, direct the course of your career, lead to new connections — even start a revolution. But you need a plan, whether you'll be pitching your book to a publisher or self-publishing. The best guide I've seen for planning your book proposal is Your Big Beautiful Book Plan, created by Danielle LaPorte and Linda Sivertsen. It's a bible for your book's entire life cycle, and it has helped thousands of writers. I haven't come across a better guide. If you find that even with YBBBP in hand you'd still like help with your book proposal, that's when I can step in to make the work easier. You can learn more about Your Big Beautiful Book Plan by linking here — and if you do decide to purchase the guide, please do so by linking from my site. As an affiliate, I thank you for that. Before I transitioned into publishing, more than a decade ago, I was a high school English teacher. I love teaching, and I continue to enjoy this role, working with individual clients as a writing coach, as well as teaching English as a second language. My rates are in keeping with those set by the Editorial Freelancers Association, which you can see by clicking here.